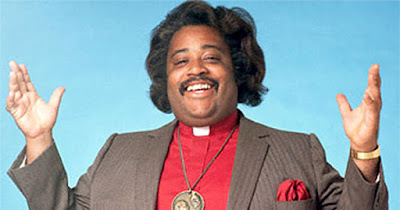 Al Sharpton's uncompromising political stance may have been influenced by a political figure he worked with as a young man. In 1972, at the age of 20, he worked as the youth director of Congresswoman Shirley Chisholm's presidential campaign. Chisholm was not only the first African American woman in Congress, she was the first African American to run for president, 36 years before Obama did so, and was the first woman to gain delegate votes at a party convention. As a radical Democrat, Chisholm's focus was largely on issues of the day, such women's liberation (which she supported) and the Vietnam War (which she opposed). Like Sharpton after her, she fought against racial bias in the criminal justice system and police brutality, advocated for LGBT+ equality, and worked to support and defend the voting rights of those who had been disenfranchised. She also spoke out in favor of public education and women's reproductive rights while opposing militarization of the United States' southern border, making her a relevant and timeless political figure that history has nevertheless largely forgotten. Nowadays, in the words of President Barack Obama, Al Sharpton continues to be a voice for the voiceless. He is known for speaking up for those who are downtrodden and for his unequivocal criticism of systems and institutions that are unjust. Not only has he advocated for reform of the criminal justice system, protested police brutality against African Americans, and led civil rights marches, but he has also advocated for LGBT+ rights and spoken out against cruelty to animals.